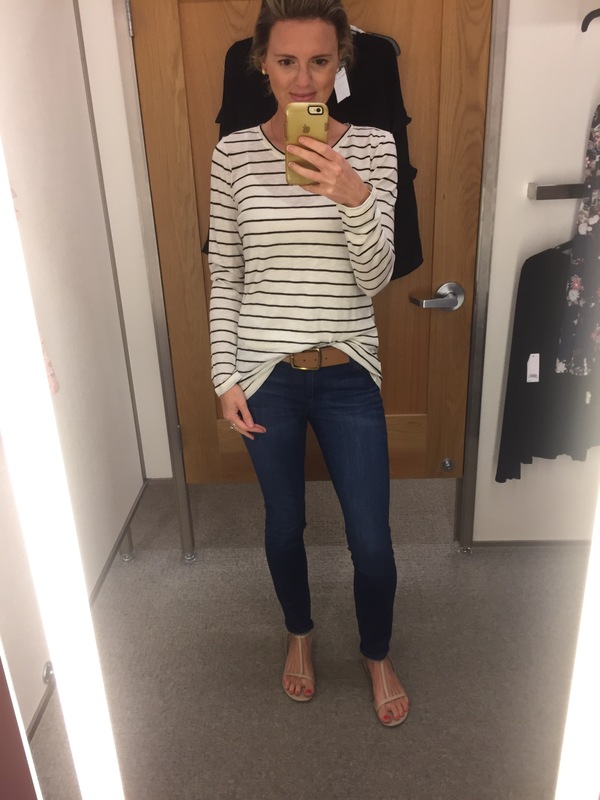 Since the Nordstrom sales ends this Sunday, August 6th and prices go back up on the 7th, I wanted to show you what I took home. Honestly, I made quite a few purchases but ended up returning either because everyone else and their mother was wearing it and/or I ended up not liking the way it fit. And surprisingly I didn’t purchase any sweaters! What is wrong with me? I normally have 3-4 sweaters hanging in my closest waiting to be worn that I bought from the sale. I’m in a different mindset this year living in Florida now. Although the weather in Louisiana and Florida are basically the same, I had to prepare myself for living so close to the beach and pool and that means lots of swim suits and shorts which I normally prefer pants and long sleeve because I am always cold. 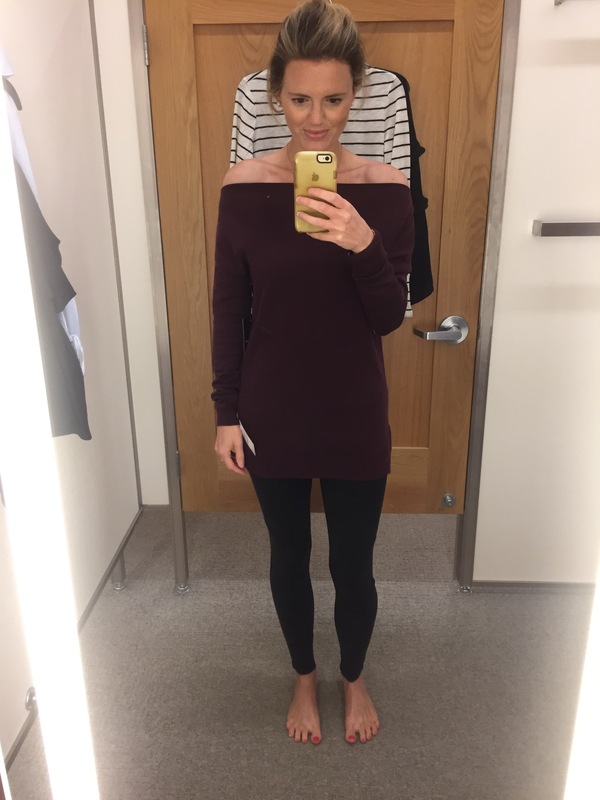 Here’s what I took home and a few items that are still left in stock that would be great in anyone’s closet! 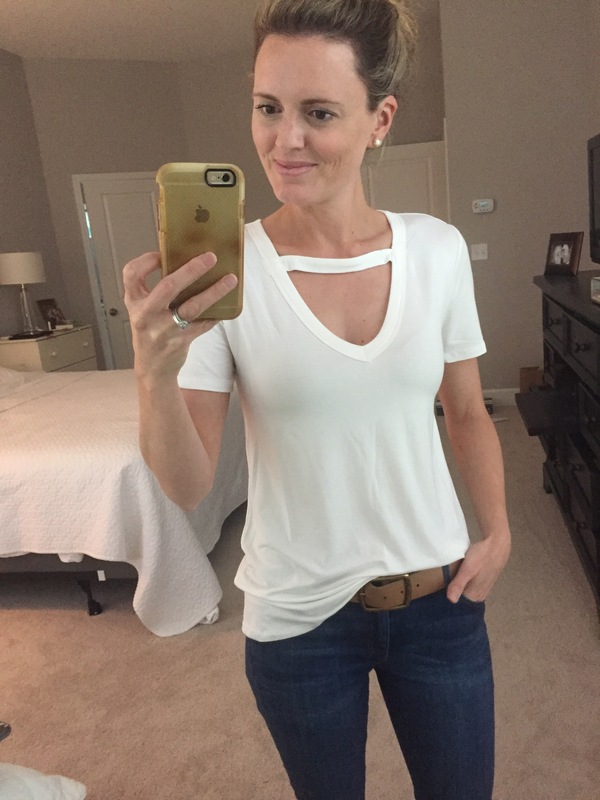 I love this basic top – I am literally wearing it right now as I type this. 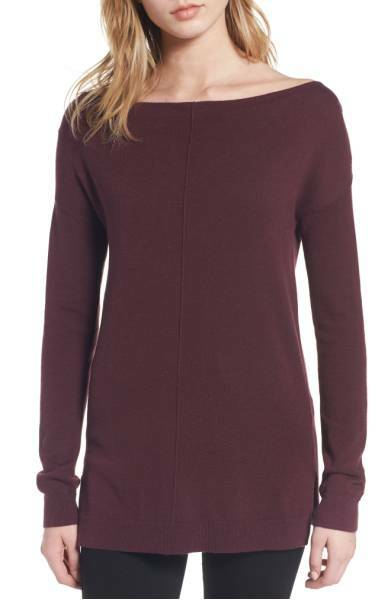 It’s so lightweight and will be perfect for layering this fall. 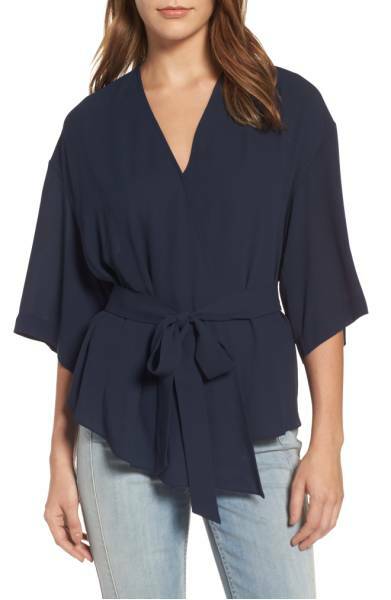 It’s so close to this top that keeps going in and out of stock but I prefer the higher neck on this one. I found this one in the store and good news it’s still available in lots of colors and sizes! Y’all this top is so flattering, I knew right when I put it on it was coming home with me. 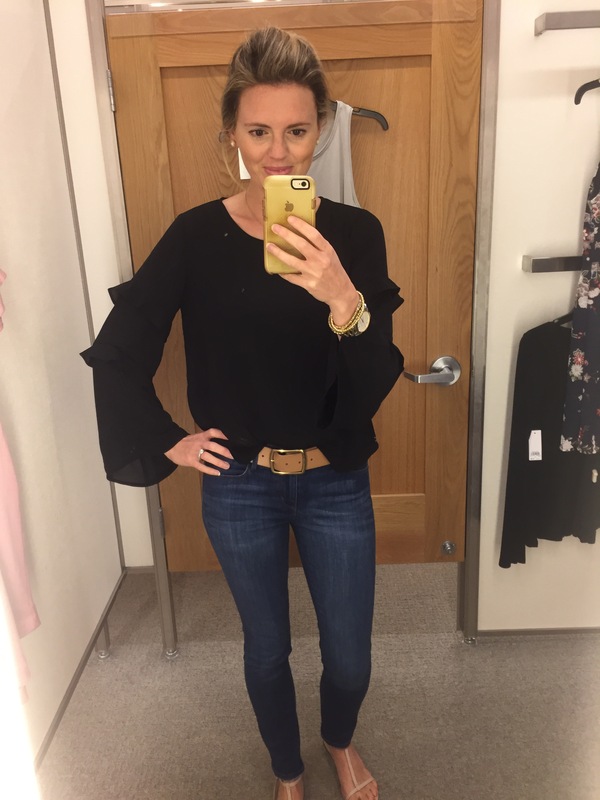 The ruffle, bell sleeves add a little something to it and although it’s on the shorter side, I think it would be super cute with some high waisted jeans. When this tee came out everyone was going crazy over it! I needed a new white tee and this one was perfect to add a little detail to switch it up. I couldn’t pass this crossbody up! 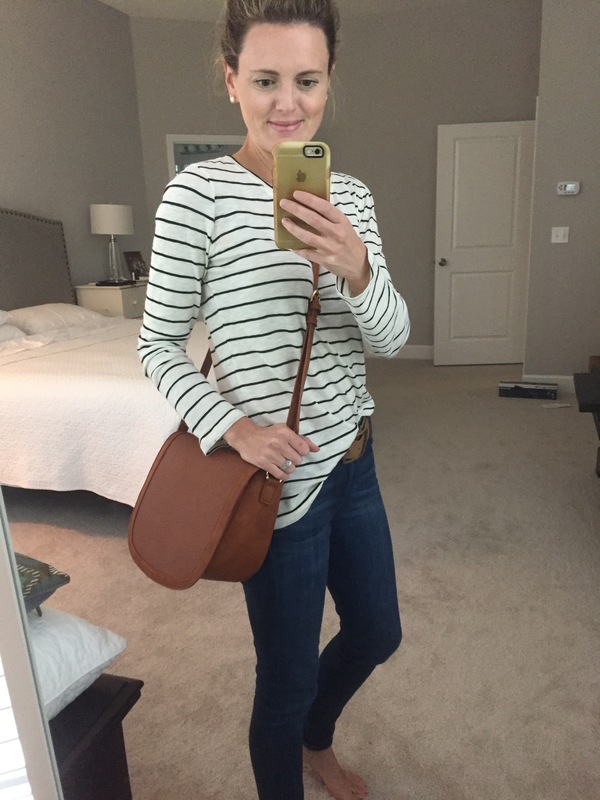 So versatile and when you have a toddler, a crossbody is the easiest way to have both hands accessible at all times! Here’s the long sleeve tee again that I love! These Zella leggings also came home with me. 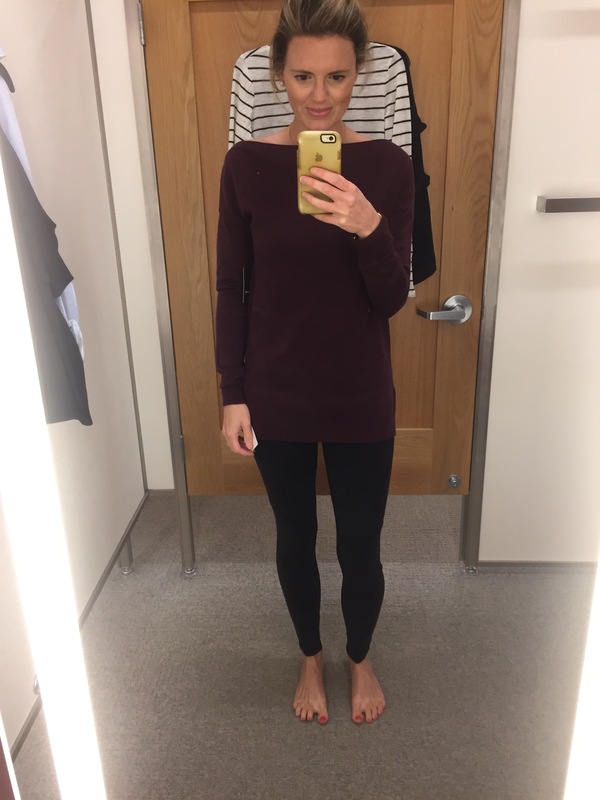 I wanted something to change up the everyday black leggings that I constantly wear and thought these would be great for all those yoga classes that I have time for. 😉 I also recommend these leggings as well! Amazing! Honestly, that’s all I ended up with! These are items that I absolutely love and will wear over and over again! Here are a few things that I still have my eye on and may order before the sale ends Sunday. 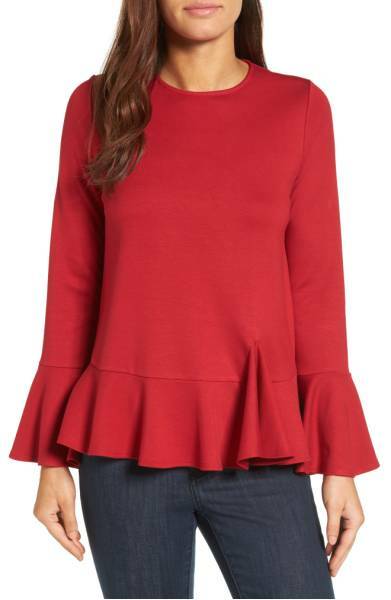 This top would be so pretty for the holidays and comes in 4 colors! 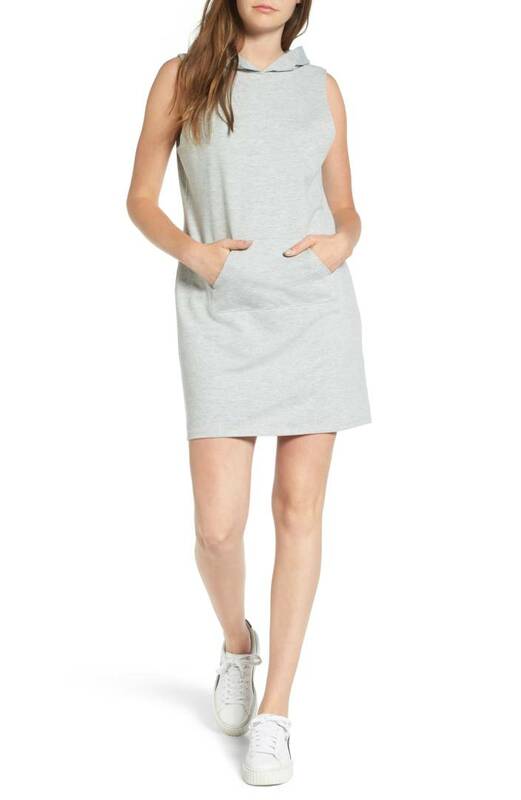 How cute is this dress with sneakers?! Comes in 2 colors and would be perfect for drop off and running errands. 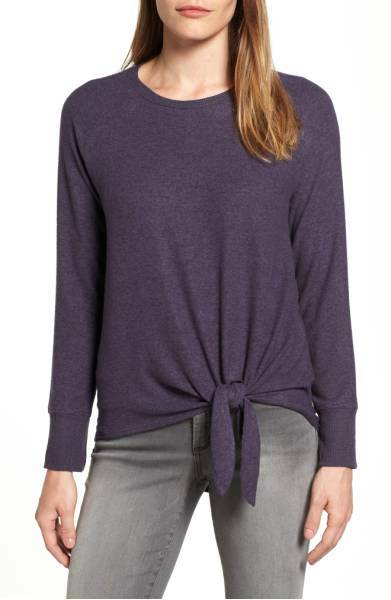 I tried this sweater on in the store (see below) and it’s so cute on! I even tried it off the shoulder and it totally worked! I’m also wearing these moto leggings! So comfy! Wouldn’t this sweater be so cute for LSU football?! It comes in 6 colors and still available in some sizes. I love these sandals! They would be a great addition and a good way to switch it up from the normal bootie. So that’s it! The prices go back up Monday. 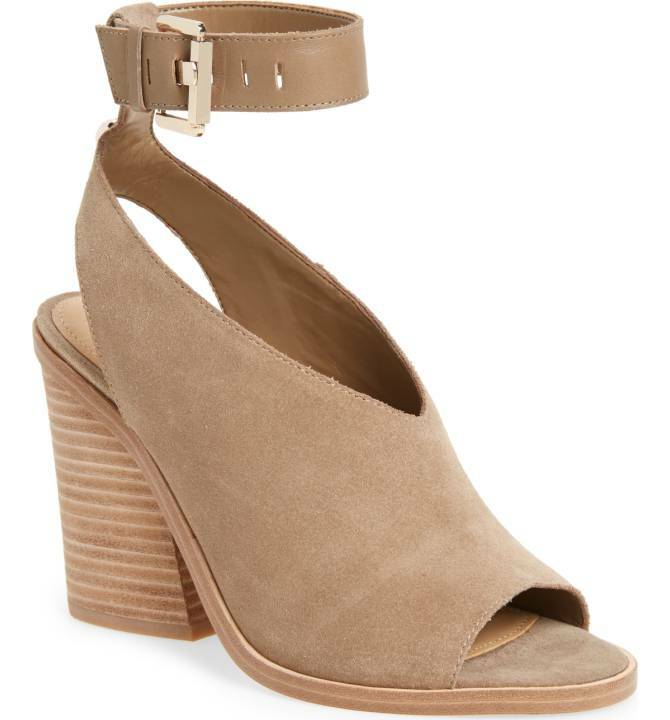 Nordstrom has been one of my favorite places to shop online for a while now because of the free shipping both ways. Hallelujah!